STEAM STERILIZATION is the first choice of regulatory agencies for the decontamination of red bagged infectious medical waste. ASME Pressure vessel, with extra thick shell for added service life. Full insulation for energy conservation. Hydraulically operated door, with three safety interlocks. Stainless steel internal steam distribution manifold. Stainless steel carts with alumnum swing out ramps. 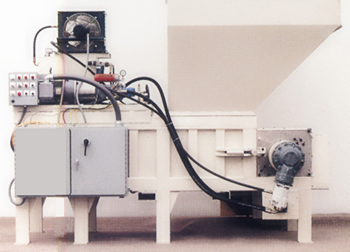 Unique shredder design for grinding of sterilized medical waste such as paper, cloth, plastics and sharps. The waste material is shredded to an unrecognizable pulp, with an 80 percent reduction in volume. Fully automated and integrated system. 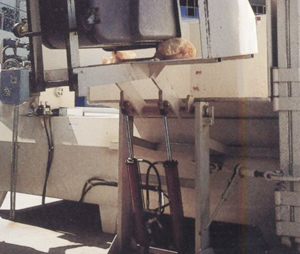 Auger conveyor for waste injection directly into the compactor. Adjustable and replaceable cutting surfaces. Offering the most advanced, high quality compactor designs available, in a wide range of styles and capacities.